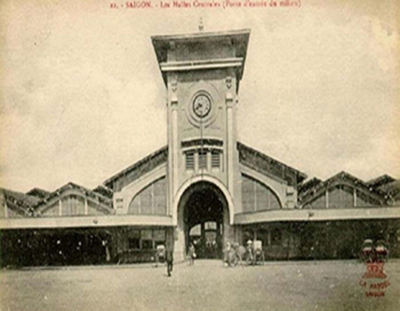 Published: 04:09 Monday - March 06, 2017 Ben Thanh Market, Saigon Notre-Dame Cathedral, Saigon Central Post Office, Independence Palace,... are French colonial buildings in Saigon that have been proposed for preservation. 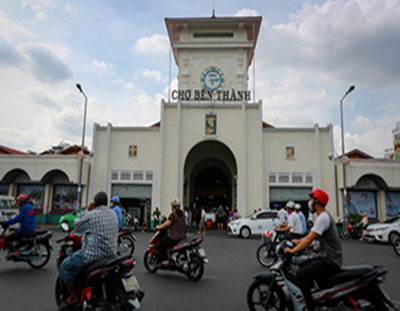 Ben Thanh Market is a located in District 1, downtown Saigon. The market developed from a string of smaller stalls tun by street vendors in the early 17th century before being moved to its current location by French colonialists in 1912. Covering an area of 13,000 square meters (3.2 acres), the market is one of the must-see destinations for both foreign and local tourists. 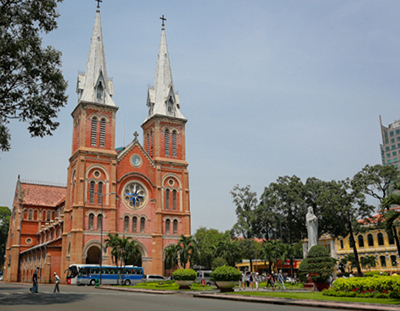 Saigon Notre Dame Cathedral (officially the Basilica of Our Lady of The Immaculate Conception) was constructed between 1863 and 1880 by French colonists, following their conquest of the city. 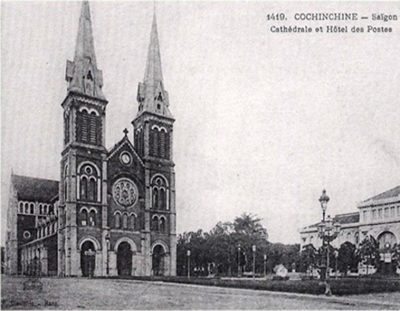 Its design highlights the influence of French civilization and Christianity over Saigon at that time. The building reaches a height of 60 meters (197 feet), and was built using materials imported from France. 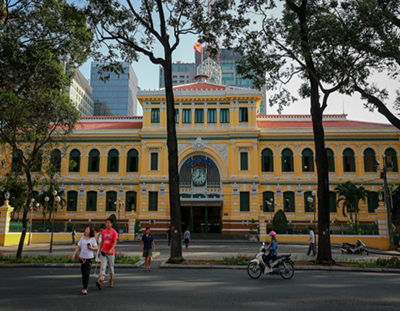 Located next door to Notre Dame Cathedral, the Saigon Central Post Office is a beautifully preserved remnant of French colonial times. It was built between 1886 and 1891 by renowned architect Gustave Eiffel,who also designed the Statue of Liberty and the Eiffel Tower. 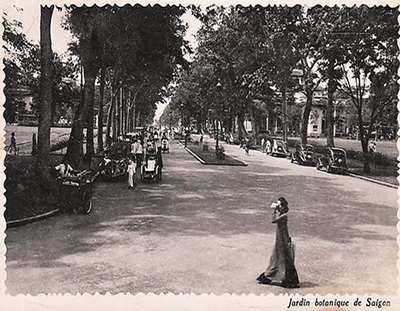 Here visitors can send and receive mail, use the phone bank to make international calls, send a quick postcard home and meet Saigon’s last letter writer Duong Van Ngo, who has been translating Vietnamese letters into English and French for over a decade. 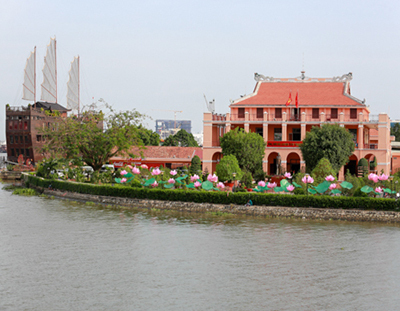 Independence Palace, also known as Reunification Palace, was built between 1868 and 1871 on the site of the former Norodom Palace, a landmark in Ho Chi Minh City. 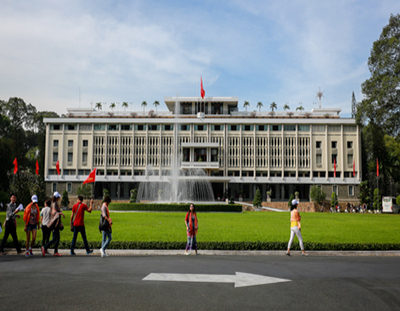 When Vietnam was split into North and South, the building served as the presidential home and workplace for the southern government. 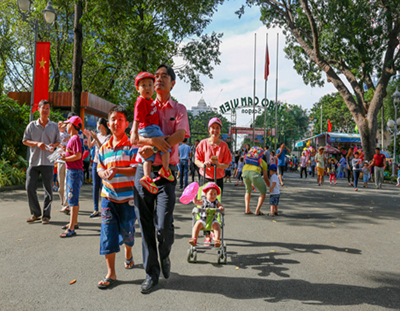 The palace is now remembered vividly as marking the end of the war, just like the fall of Berlin Wall, as a North Vietnamese tank crashed through its gates on April 30, 1975. 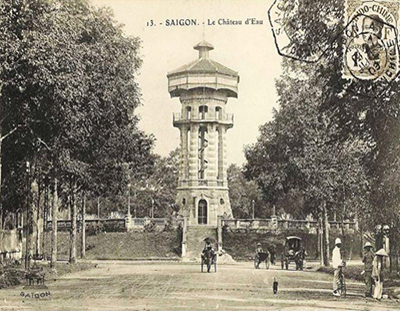 Saigon Zoo and Botanical Gardens were built in 1864. It's one of the oldest zoos in the world. 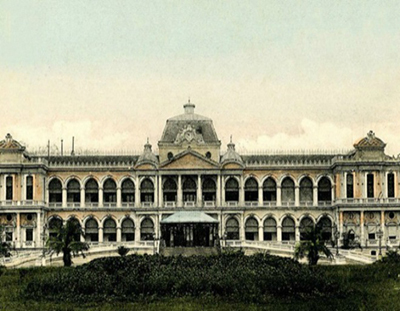 On May 3, 1865, the Governor General of Indochina invited JB. Loius Pierre - who was in charge of taking care of the botanical gardens - to work as director of the garden. The zoo is now home to 125 species of animals, 260 species of trees, 23 species of domestic orchids, 33 species of cactus and 34 kinds of bonsai, and more are currently being added. Starting life as a water tower located in Maréchal Joffre Square to provide drinking water for residents in the area, Turtle Tower in District 3 has become a sightseeing spot for many local and foreign tourists. 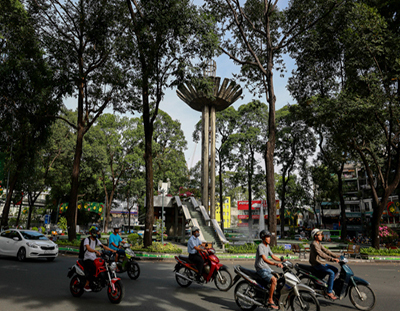 From 1965-1967, the Republic of Vietnam's government built a roundabout, fountain and four walkways spiraling towards the central area, where stood a monument and an iconic stone turtle bearing a stele on its back. In 1976, the stele and the turtle were destroyed in an explosion, but people still fondly remember the area's former name. 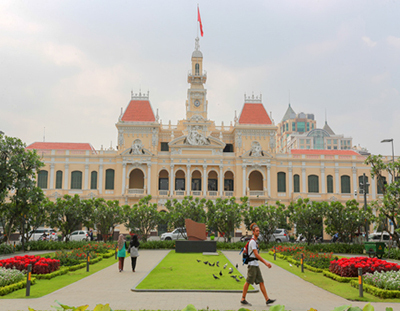 Ho Chi Minh City Hall was built in 1902-1908 in the French colonial style for the then city of Saigon. 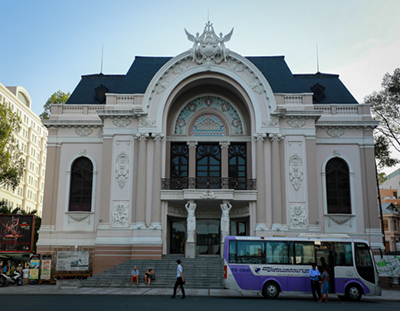 It was renamed after 1975 as the Ho Chi Minh City People's Committee Hall. Although this elegant colonial building is not open to the public, it remains popular with tourists and offers great photo opportunities. Tourists can take photographs outside and many people choose to do this at night when the building and its grounds are lit up. 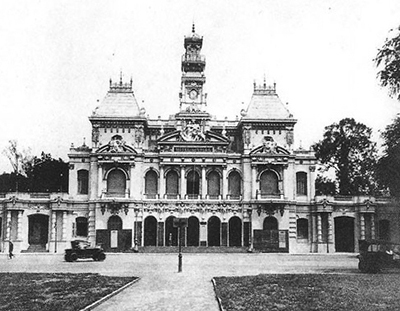 Saigon Opera House (District 1) had a strong gothic theme which was very popular in the late 19th century. The structure was designed and built in 1898 by a group of French architects consisting of Félix Olivier, Ernest Guichard and Eugène Ferret. The main features of this work of art were an ingenious collaboration between architecture and sculpture. 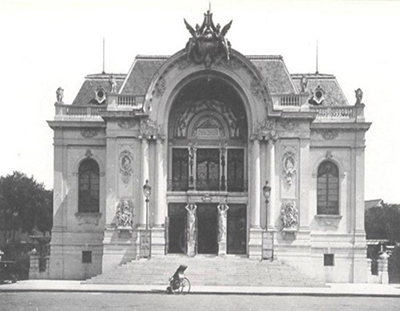 The entire decorative patterns, frieze facade and interior of the theater were designed to look similar to French theaters in the late 19th century. 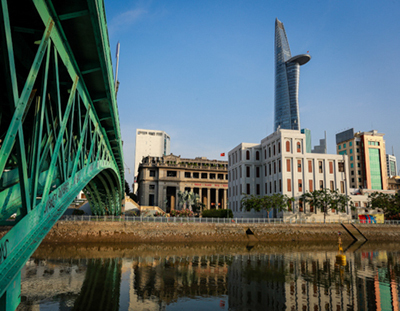 Dragon Wharf, located at the junction of the Saigon River in District 4, is the city's original commercial port. 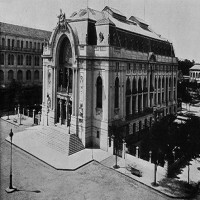 Construction began in 1862 and took more than a year to complete. In 1911, Ho Chi Minh (at the time named Nguyen Tat Thanh) departed from Dragon Wharf on a French ship on a 30-year journey around the world. 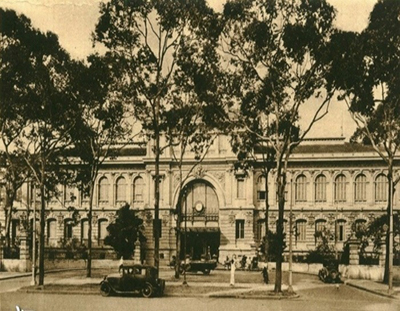 In 1979, the old building and its grounds were converted into a memorial park. 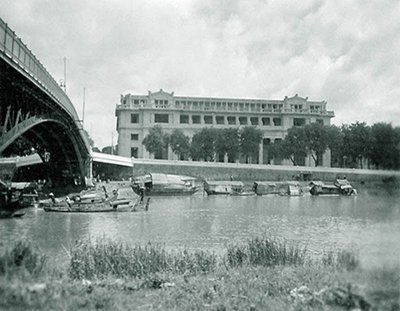 Crossing the Tau Hu - Ben Nghe Canal and linking District 1 and District 4, Mong Bridge is one of the oldest bridges in Saigon. 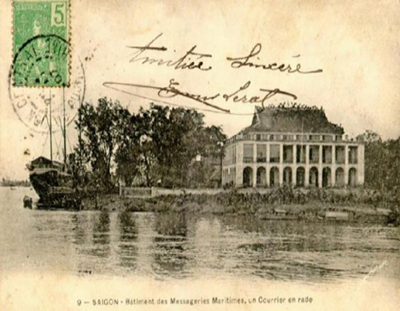 It was built in 1893 -1894 by French company Messageries Maritimes Hai Duong Carriers. According to its original design, Mong Bridge was black and served both pedestrians and motor vehicles. In the process of building the East-West Highway and Saigon River Tunnel, the bridge was completely dismantled. Afterwards, the bridge was reassembled following its original design, but the paths leading to the bridge were demolished and replaced with stairs for pedestrians.